We LOVE this gorgeous little palette! We’re giving away one Clinique Very Honey Holiday Eyeshadow Palette to the lucky winner of our latest giveaway! A $153 value, this set includes both eyeshadows and brushes to help you get a gorgeous, glowing look. The colors in this palette were inspired by Clinique’s ever popular Black Honey lipstick and gloss. The shades are flattering to a wide variety of skin tones. The shadows are specially formulated to glide on smoothly and to stay put. Clinique’s shadows typically aren’t as pigmented as Urban Decay or MAC shadows, which means they aren’t as dramatic on the first application and have a more subtle look. It also means that they are very buildable. You apply one layer and then add additional layers until you achieve the depth of color you’re looking for. For natural makeup looks, these types of shadows are ideal. Our giveaway starts today, Monday, February 27th, and goes until Monday, April 3rd at midnight MST. This giveaway is open to U.S. residents who are 18 and up. Our winner will be notified via email after the giveaway has ended. Clinique is one of my favorite brands. Quality products! 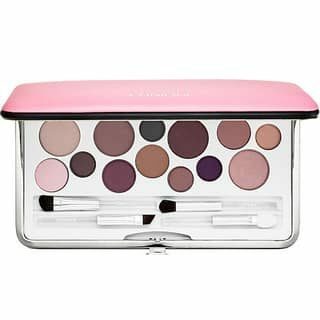 I would to win this eye shadow pallet! The colors offered go great with my eyes. What next?’ Eye brows,eye liner.. I never make New Year’s resolutions. I just try to do my best all year without pressuring myself. My new years resolution is to work out and eat healthy. What a great giveaway! It would be so nice to win. Oooo it’s so pretty!!! I love it! I hope to try this out! My resolution is to keep up with my fitness regimen. I’ve done well so far. My New Year’s resolution was to expand my vocabulary and make up collection. My New Years resolution sounds cliche, but its to take better care of myself. Take more time to focus on me. I really like clinique. I would love to try these things out before spending a bunch to try a product and dislike it. Clinique has always been so great about trying before you buy. I love that. I resolved to walk farther and eat better. So far I have gained about 11 pounds! Yeah me! I dont make new years resolutions anymore! I would like to see a giveaway featuring perfume! This is the cutest little pallet, I love everything about it! I’d like to see Sephora or Ulta gift cards. Hope I win Clinique honey eye palette! Omg I LOVE!!!!! I would absolutely LOVE. To win this!!! Thanks for the chance!!! Goodness, such a gorgeous palette. I have to say I really love all of those colors! Oh I would love to see more palettes! They are so fun and such a great way to try new products and different colors! Anastasia Beverly Hills Lip Kit!!!!! 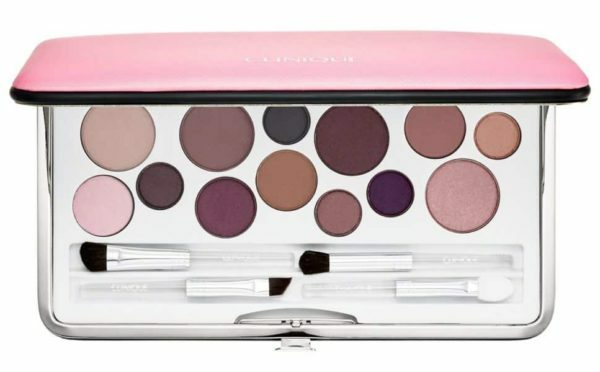 would love this pretty pallette; would be awesome to win it! My New Years resolution was to lose weight and not procrastinate this year also to set goals for myself and make a conscious effort to meet them. I would like to try another eyeshadow palette, such as the Moonchild palette by Anastasia (?). Being a mom of 4 at 33 yrs old is extremely hard,so you know when you get this excited about this giveaway you really enjoy it! I have found my only mommy time consists of my very few minutes in the bathroom each morning putting on my make-up..very soothing and calming to me..great giveaway!!! Good luck to all! I would like to see the GLAMGLOW ThirstyCleanse Daily Hydrating Cleanser in the next giveaway. I love these color combinations. I really have been wanting to try this. For the next giveaway I’d like to see something by tarte. I’ve never tried their palettes, eyes or cheeks, and would love to! I ALWAYS WANT MAKE UP AND SKIN CARE GIVEAWAYS. A flat iron ,skin care, more palettes. I’d like to see the Stila Magnificent Metals Duochrome shades in a future giveaway. Anything from Kat Von D would be awesome for the next giveaway! I would love a giveaway featuring Tarte cosmetics! I would like to see an Urban Decay eye shadow palette as the next prize. I would like some anti aging cream featured. I need some new cream. This is a great giveaway!! Makeup and skin care are my favorite kinds of giveaways. They are the items that I don’t get to splurge on and I always have to buy the low end which work okay, but if I can win something that I can’t afford to buy, it’s extra special to me. They should give some mascara away next time. I would love to see the Anastasia Beverly Hills Modern Renaissance Palette as the next giveaway prize! My favorite products to win are eye shadow palettes and moisturizers. This Clinique palette is beautiful. My favorite prizes are gift cards. Another makeup giveaway! Thanks for the chance! I have the Clinique Black Honey lipstick. This palette looks like it would suit most skin tones, like the lipstick. I love that they look mostly matte.